Back in April last year, HEXUS reported upon the ruling by the Belgian Gaming Commission that video games loot boxes constituted gambling. Furthermore, these paid-for loot boxes in games formed 'games of chance' that would be available to minors and vulnerable people and therefore illegal. Since that time EA hasn't changed its practices or policy in Belgium. A few hours ago, EA issued a statement that it had been in discussions with Belgian authorities and subsequently "decided to stop offering FIFA Points for sale in Belgium". The change will come into effect tomorrow. 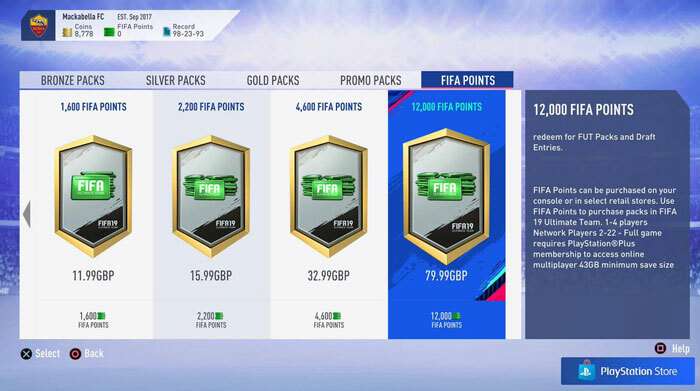 From 31st January, residents of Belgium will no longer be able to purchase points to obtain FIFA Ultimate Team packs. EA says that existing Ultimate Teams created with FIFA Points-bought players will still be accessible, FIFA Points already squirreled away in your account will still be usable, and you can still earn points through gameplay. On that last point, EA stressed that "all content in the game can be earned through gameplay, as has always been the case, and players can continue to use coins and the in-game transfer market". After caving in to the Belgian Gaming Commission's demands, likely through the threat of impending jail terms and fines of up to €800,000 as noted back in April, EA is now looking for a halo for this policy change. In its statement it says that "we seek to bring choice, fairness, value and fun to our players in all our games," and that it looks to provide transparency to players to make informed content choices. However, it still asserts "we do not agree with Belgian authorities’ interpretation of the law, and we will continue to seek more clarity on the matter," contradicting its moral espousal of 'fairness' by bringing the debate back to legality. 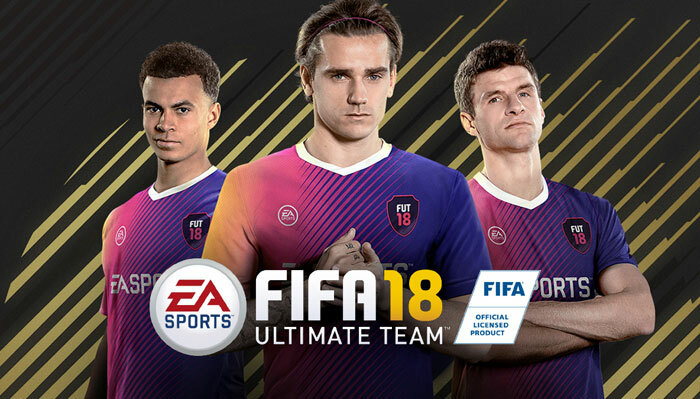 Last but not least, EA assured investors that "the impact of this change to FIFA Ultimate Team in Belgium is not material to our financial performance." Meanwhile, those concerned about gambling creeping into video gaming though a 'back door' will be heartened by Belgium's case, as countries like China and Japan are acting to regulate loot boxes and the US FTC are investigating the practice. Meanwhile, those concerned about gambling creeping into video gaming though a ‘back door’ will be heartened by Belgium's case, as countries like China and Japan are acting to regulate loot boxes and the US FTC are investigating the practice. Personally, I stopped playing EA games years ago for other (off-topic) reasons, am not in Belgium, and am about as interested in football as I am in acquiring a dose of antibiotic resistant STD (which, for the record, in significantly not interested) but nonetheless I'm entirely with the Belgian and other authorities in stamping down on loot boxes. Personally, I want to buy a game, then play it, and not have progress be extorted out of me in in-game costs, because I do regard that as extortion. If I know a game has that, EA or otherwise, I simply won't buy it. £30, £40, £50 up-front cost? Fine, if it's a game I want. But then I know what's it's going to cost. Chipping cash out of me as I progress? The hell with that. EA is now looking for a halo for this policy change. Step one - Remove the random chance from MTX. Step two - Let people know exactly what they are purchasing and the price and you'll probably gain that halo. Step three - As long as the pricing is reasonable and isn't seen as gouging vulnerable people, you should be pretty golden. Don't worry EA, unlike you I will not charge for the above. I actually think you're underselling the issue a bit. I mean, it's not just about chipping cash out of people. I'll give a couple of examples. Take Just Cause 3. It's a decent game that I've enjoyed playing through, and at Christmas I bought all of the DLC for less than £5. That DLC adds some features that make it easier to complete the core game, and also some additional missions and content. This irks me a bit, since I've bought the core game and now other bits are tacked on that affect the core game for money. Or Mass Effect 2/3 which were heavily story driven games, but held parts of the story and character arc behind a paywall (I refused to pay for that, and still haven't). That really irritates me, because that to me is not far off extorting as you describe it. But loot boxes are a whole new level of terrible. Take a game that I actually enjoy - World of Warships. It is free to play, and you can unlock new ships by playing through the game. In order to make money though, the model is to sell gear that makes small modifications to gameplay, speeds up progress, or just directly offers a new ship that will have slightly different characteristics. I accept that as a cost of playing a free to play game, and I choose not to spend money on those things. However, they also allow you to buy crates at £2-3 each. In those crates, you can get special ships that are no longer available in the store, but the drop rate is not known. So you could buy 20 crates, and not get a single ship that you want. A chap in the US said on one of the forums recently that he spent $800 on crates to unlock all of the ships that were available in them. Ergo, you could potentially spend >$500 without actually getting the original item that you were looking for. To me there is very little difference between this and gambling. If stores want to sell in-game content, then I don't see how we can stop them (other than refusing to participate), but I genuinely think that loot boxes and the like are skirting around legislation. I would take it further still - loot boxes ARE a form of gambling by definition, and they're an absolute disgrace to the gaming community/industry. I can't stand that my younger brother is engaged in this sort of thing with Fortnite. He's 13, and has a kids bank account, and has been completely trustworthy in the past with spending the money he gets from doing paper rounds, but late last year, over the course of a month, he spent £80 on vbucks (or whatever the in-game currency is) in order to unlock skins etc through loot boxes. That's more than I've spent on video games in the past year! Gambling, like most addictions, is horrible, and I've seen first hand the effects it can have on someones life, so to give people exposure to this at 13 years old is horrendous. I thought the issue was loot boxes, though? I mean I buy a game for £40-ish, I expect to be able to play it without having to buy extra bits, and worse yet, buy a ‘pig-in-a-poke’ where you may or may not get what you really want/need. However …. if that ‘extra content’ is effectively a whole new scenario, that's very different. I've done that numerous times …. though mainly in the days where it might be £15-£20, and effectively was a new game, new levels, new ‘monsters’/weapons/maos/levels, etc, basically bolted onto the exusting game engine. Even with that add-on pack, I knew pretty much what I was getting and, up front, what it was going to cost. So, I actually agree with you, though there might be a grey area between add–on module, and “DLC”. It depends, I guess, on what the DLC is. What I object to, and in fact will not buy into, is a game where to progress, or to progress at an acceptable rate, you have to keep sticking your hand in your wallet, possibly again and again. In part, it's because doing that, IMHO, screws up the whole game ‘balance’. To me, a game should make me work for it, but also shouldn't make it nearly impossible. Getting that balance right, getting that effort/reward system right, is what makes a decent gsme truly enjoyable it's what brings me back, again and again, wanting more. That is also what gets me buying that scenario pack, if the original game was good enough. I hope that clarifies what I meant, espevially by buying a complete game. Even a complete game can have add-ons, provided they add to the game and aren't necessary to enjoy the game I spent that £30-£50 pn, up-front. It must, absolutely MUST be capable of stsnding on it's own, without in-game purchases. Maybe that makes me out of toych and old-fashioned but, well, it's kinda like buying a book - I expect to get the whole book and not pay extra for more characters or plot elements. If the author then brings out another book using the same settings, characters, etc but a new or even sub-plot, fine. But I don't expect to pay per clue.